Are you looking for the perfect gift for your manga loving friends and family this holiday season? Or perhaps you’re looking for the perfect series for someone who’s new to manga? With so many series to choose from –from shonen to shojo, from action-packed series to drama-driven ones, from series for younger readers to the experienced fan –it can be hard to choose just one title in what seems like an overwhelming sea of stories. But never fear – Kodansha Comics’s got your back! Our Gift Guide is in full swing once again this year, and from classic tales to new fan favorites, we’ll help guide you to the perfect manga that’s sure to put a smile on someone’s –or your own –face! 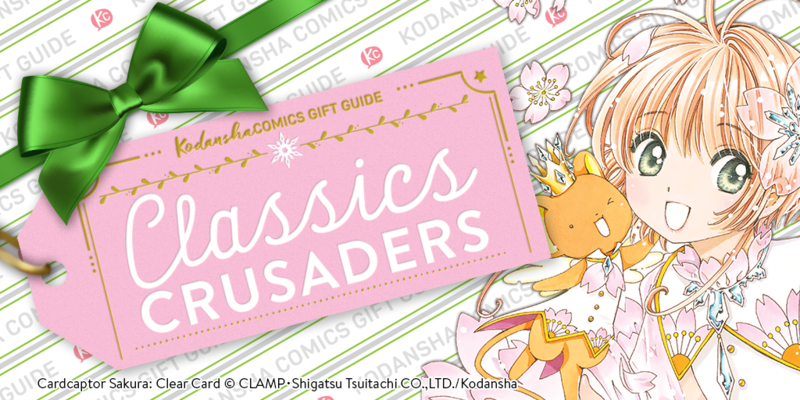 The first part of our Gift Guide is: Classic Crusaders! Wherever your favorite manga genre or series may lie, it’s hard to go wrong with a good classic. Complete your classic manga collection or find a great gift for a friend who’s a first time manga reader with these five definitive series! What’s it About? In a not-so distant future, Tokyo has been annihilated by a blast of unknown origin that triggered World War III, and the city has been rebuilt as Neo-Tokyo. The lives of two streetwise teenage friends, Tetsuo and Kaneda, change forever when paranormal abilities begin to waken in Tetsuo, making him a target for a shadowy agency that will stop at nothing to prevent another catastrophe like the one that leveled Tokyo. At the core of the agency’s motivation is a raw, all-consuming fear of an unthinkable, monstrous power known only as Akira. Why’s it Good? Akira has become a definitive, cult manga classic for readers in both Japan and abroad – and for good reason. When the series was first released in English, the pages were presented in a flipped, left-to-right reading format and fully colored to appeal to an American, comics-reading audience – introducing manga to the foreign reader in ways in which no one had seen before. The stunning science fiction masterpiece has since become to be considered the finest work of graphic fiction ever produced, and the animated film version is regarded worldwide as a classic. The Akira 35th Anniversary Box Set gives English-language readers, for the first-time, the opportunity to experience Akira as the author originally intended. With the original Japanese art and right-to-left reading format preserved, along with Otomo’s hand-drawn sound effects, this limited edition boxset houses all six-volumes of Akira, plus the Akira Club artbook, in beautifully bound hardcover editions. 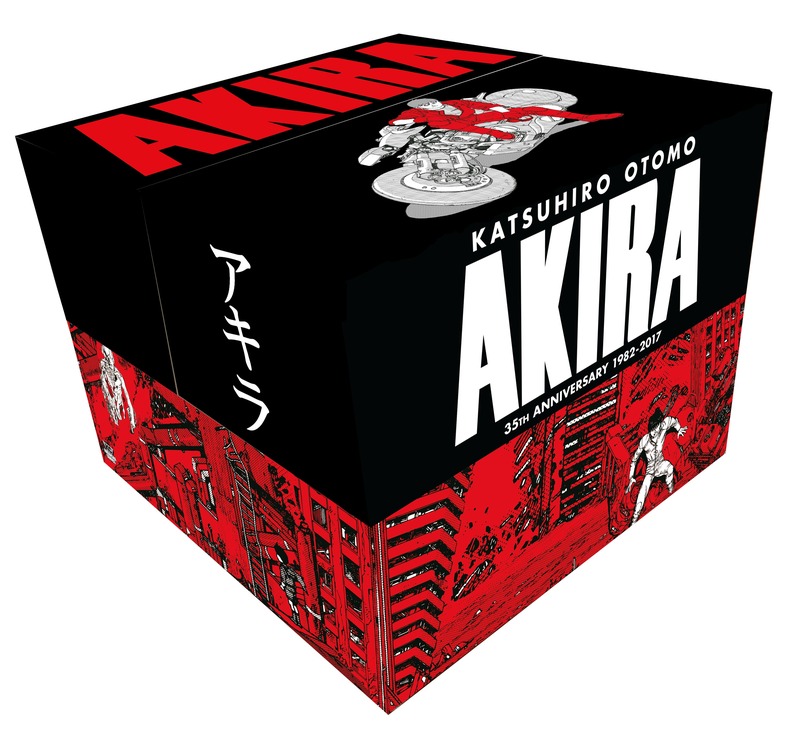 Whether you’ve been a longtime fan of Akira, or have just been waiting for the right time to delve into this classic series, this is one boxset you don’t want to miss. The Akira 35th Anniversary Box Set is available now! What’s it About? Far beneath the shimmering space-city of Zalem lie the trash-heaps of The Scrapyard. Here, cyber-doctor and bounty hunter Daisuke Ido finds the head and torso of an amnesiac cyborg girl. He names her Alita and vows to fill her life with beauty, but in a moment of desperation, a fragment of Alita’s mysterious past awakens in her. She discovers that she possesses uncanny prowess in the legendary martial art known as panzerkunst. With her newfound skills, Alita decides to become a hunter-warrior – tracking down and taking out those who prey on the weak. But can she hold onto her humanity in the dark and gritty world of The Scrapyard? Why’s it Good? Renowned as a cyberpunk classic, Battle Angel Alita made waves when it was first released in English over ten years ago (Brendan Fletcher, creator of Motor Crush, writes the introduction for Volume 1, and even discusses the pivotal role Alita and Yukito Kishiro played in influencing his career). After more than a decade out of print, this action classic returns in glorious 400-page, 2-in-1 hardcover deluxe editions, featuring an all-new translation, color pages, an extended trim size, and new cover designs. Whether you want to revisit or complete your collection for the first time, or if you’re looking for an epic sci-fi series for a friend, Battle Angel Alita will give you a unique science fiction world you’ll want to explore. 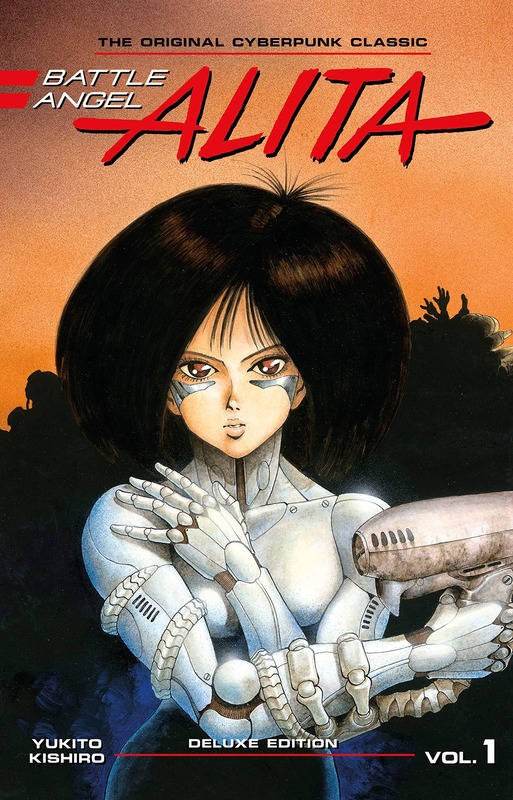 Battle Angel Alita Deluxe 1 is available now! Be sure to collect all volumes before the theatrical movie release next summer! Why’s it Good? If you got into manga reading in the 90s, chances are you read CLAMP’s classic Cardcaptor Sakura. The series had a little bit of everything – fantasy, action, adventure, romance, and was praised by Anime News Network for “taking what had become an incredibly stale and repetitive genre and turned it on its ear, providing something fun, clever, beautifully animated, touching and exciting all at once.” Clear Card picks up exactly where Cardcaptor Sakura left off, and naturally reintroduces us back into the series and its beloved characters. If you’re looking for some nostalgia this holiday season, you’ll definitely want to revisit this sweet, magical classic. 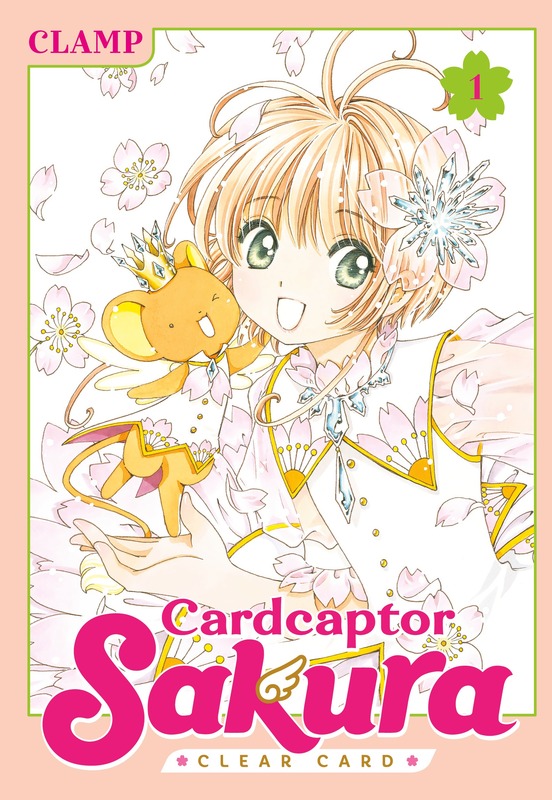 Cardcaptor Sakura: Clear Card 1 is out December 19 – preorder your copy today! What’s it About? The definitive history of the most influential cyberpunk anime of all time! This beautiful, color hardcover guide begins with the seminal feature that inspired The Matrix and many other films, comics, and novels, and ends with the live-action Hollywood adaptation starring Scarlett Johansson. Follow the franchise that made manga master Shirow Masamune, legendary director Mamoru Oshii, and the studio Production I.G the legends they are today. Why’s it Good? If you’re looking for the perfect gift for a Ghost in the Shell fan, then look no further than Ghost in the Shell READ ME. 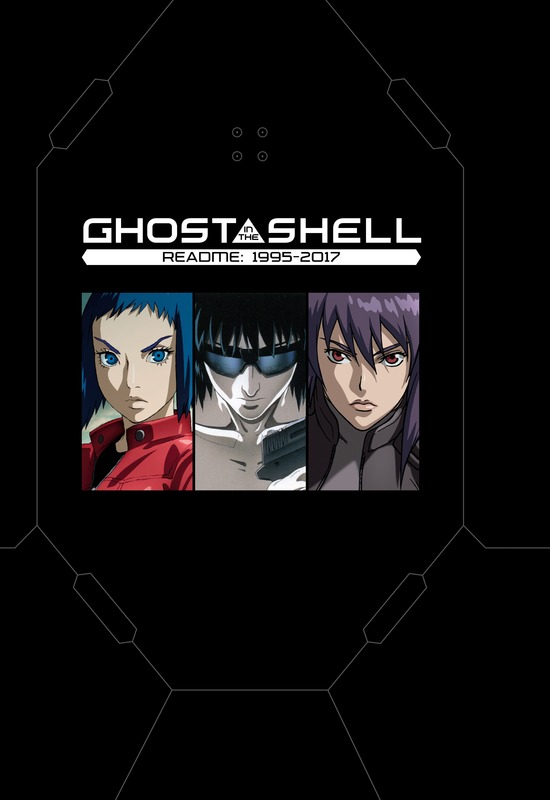 Featuring In-depth interviews, stunning concept art, and tales of behind-the-scenes triumphs and near-tragedies from the 22-year history of The Ghost in the Shell, README covers everything from the original anime through the award-winning sequel Innocence and the global smash hit TV adaptation Stand Alone Complex, all the way up to 2017, with the release of the new live-action film from Paramount Pictures. Ghost in the Shell READ ME: 1995 –2017 is available now! Why’s it Good? Whether you’re a veteran fan of Hiroshi Iwaaki’s original manga, or you’re just looking for an exciting, new manga anthology to dive into, Neo Parasyte m is the perfect fit. The collection starts out strong with a piece by classic manga artist Moto Hagio, and features Kodansha Comics fan favorite artists such as Hiro Mashima, PEACH-PIT, Hiroki Endo, and more. 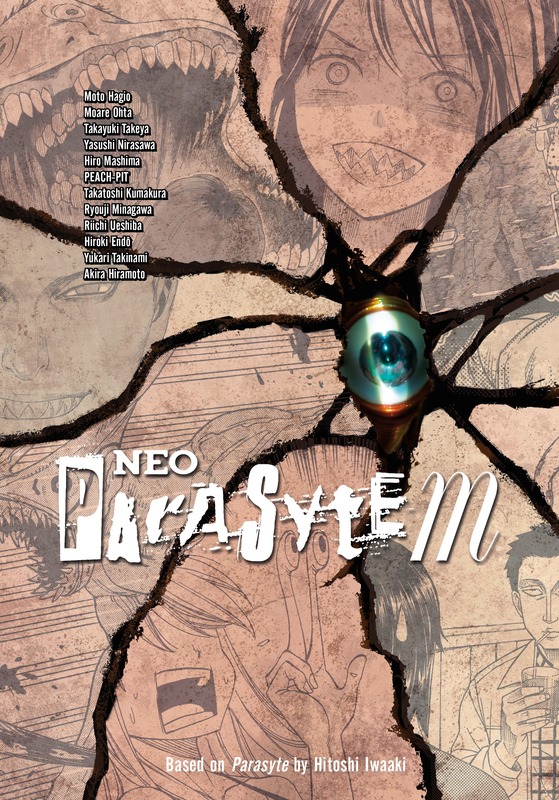 Neo Parasyte m provides a fantastic introduction to the world of the parasites, even for first time fans, and is a collection you won’t be able to help sinking your teeth into. Neo Parasyte m is available now! 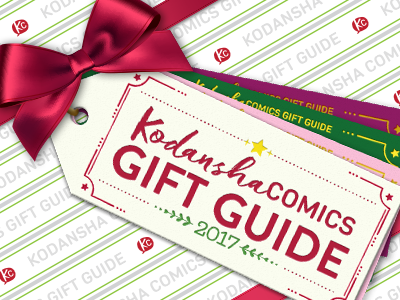 Kodansha Comics Gift Guide will update every Friday until the end of holiday season!